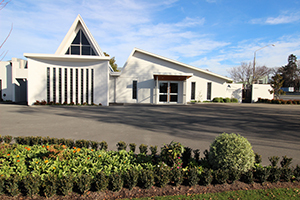 Where the funeral service is held is an important aspect of funeral planning. You may choose to use our chapel, or if the person who has died was a member of a religious denomination, often the service is held in their local church. A funeral service can also be held in the family home or any other setting that has significance for the person who has died and their family. When arranging a large funeral, families sometimes choose another venue appropriate to the large number of people likely to attend. A catering lounge for a ‘cup of tea’ is also seen as an important feature when selecting a venue. A funeral director will be happy to discuss suitable options for you to consider.